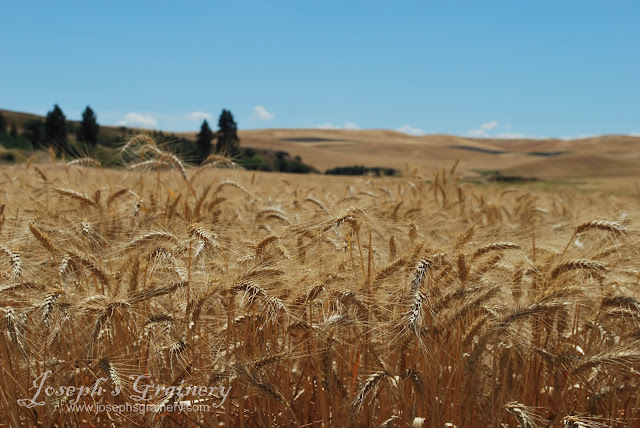 Here on the Palouse, we've had very warm temperatures, early in the season, which ripened up the crops in record time. Never before have we been this far through our harvest by this early in August. In the photo above, our International Harvester Hillside Combine is cutting it's way through a field of barley. 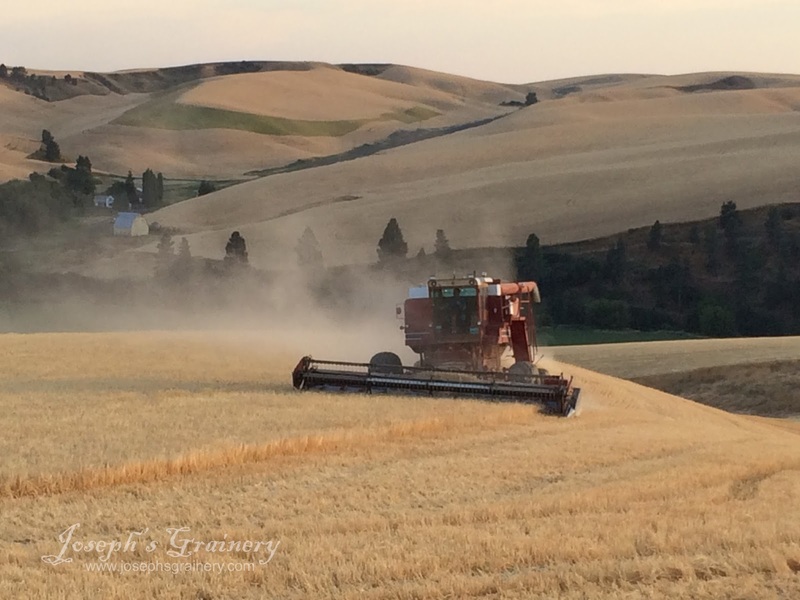 Because of the gorgeous rolling hills of the Palouse that you see in the background, it's essential to have a combine with a self leveling mechanism to help maneuver the hillsides. The header (the front part of the combine) can adjust to accommodate the slope of the hills. This keeps our crew safer too. This is what happens when you get all four grandkids together on the farm. 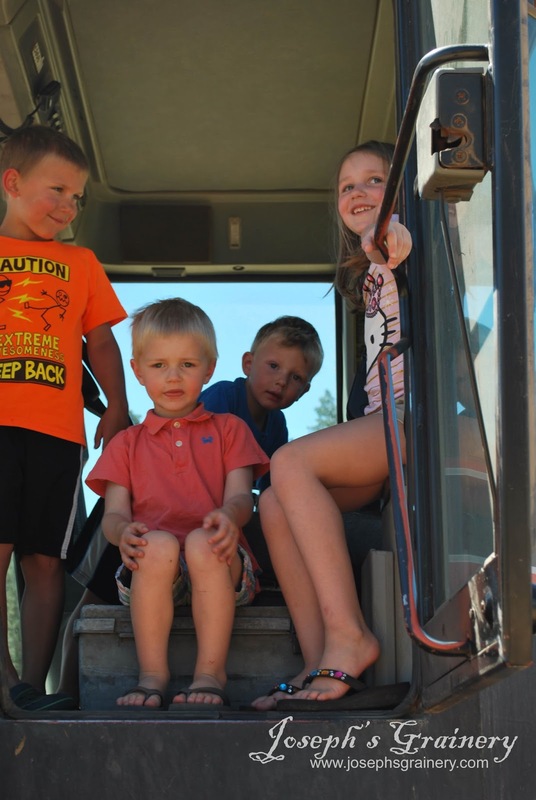 They kick Grandpa out of the tractor so they can pretend to drive. So far we've had a pretty uneventful harvest. There have been a few equipment breakdowns, which is pretty normal - running machinery that has many moving parts for long hours in hot temperatures, you expect to have some things go wrong. We even had a small fire, but thanks to our quick acting neighbors and the local fire departments, no standing grain was burned! Unfortunately we don't have any photos of the fire to share...everyone was busy fighting it. We're hoping to be done with the 2015 harvest later this week.